Band and orchestra instruments no longer being played are collecting dust in homes across the Kansas City area. There are many disadvantaged students across the metro who would love to join band or orchestra, but can’t due to the cost of an instrument. Band of Angels collects used music instruments from those who no longer need them and helps make them available to kids in need who couldn’t otherwise afford them. Cash donations are accepted also, which are used to purchase instruments. With these instruments, students can join their school’s band and orchestra programs. Band Of Angels was formed in 2010 as a not-for-profit partnership between WDAF-TV Fox 4 and Meyer Music. Its mission is to collect music instruments and to help fund the purchase of musical instruments for children in need who want to study music, but whose family financial situations, unfortunately, get in the way of their dreams. Band of Angels also offers full summer music camp scholarships to the students it serves so that they may further their music education beyond the school year and classroom. Attending music camp allows students who are very serious in improving their skills to learn and practice among similar students. Campers receive one-on-one attention from instructors that is not available in band or orchestra classes during the school year. 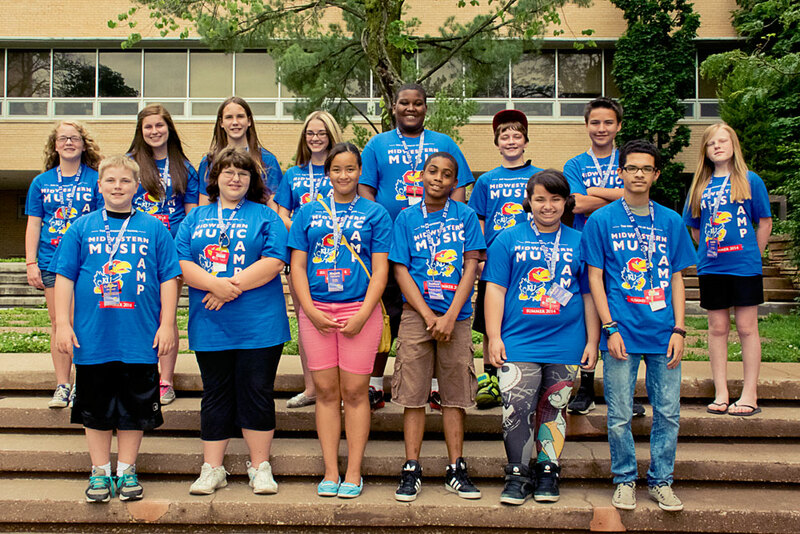 For some students, music camp is a place where they can escape troubling situations at home and focus on what brings them joy. Band of Angels accepts band and orchestra instrument donations from the public at any of the Kansas City area’s three Meyer Music locations. Since 80 percent of the instruments donated are not in working order, technicians repair and clean each instrument before its donated to a student. After consulting with area schools, each instrument is matched to a student in need. Band of Angels has collected well over 1,000 instruments and has given them to disadvantaged students in 60 school districts within a 100-mile radius of Kansas City. Fundraisers, like the Heart Strings Gala and Art That Blows, along with cash donations help fund purchasing instruments. Our goal is to connect one budding musician to one instrument over the widest area possible in Kansas City. Edgar Palacios — EJPKC, LLC.